Observation - Melanelixia - UK and Ireland. Description: Dull brown lobes. On wooden fence near a main road. Only one example of this lichen found. Dull brown lobes. On wooden fence near a main road. 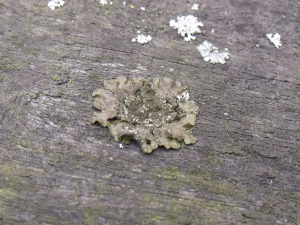 Only one example of this lichen found.